Golf is a game of fractions. A fraction of an inch here or there is difference between a good shot or a great shot. This minute distance is also the difference between a great shot and OMG, not again! Yes, the smallest of distances can have different results when swinging a golf club. I am sure, every golfer is shaking their head at this moment in complete agreement. What if I told you that this fraction of distance is caused by not knowing your dominant eye! Not know your dominant eye will have an impact on where you place your ball in your stance. We all understand that a half of an inch forward or back is the difference between making a great shot or reaching into your back to lay a provisional. Being left eye dominant, I play the ball slightly forward of the middle of my stance. I never used too and I struggled with alignment trying to follow convention. I was stuck at 9 handicap for about 7 years until I made this amazing discovery. Your dominant eye affects how objects are placed in my field of view, therefore would set my ball up in the wrong spot for my swing. 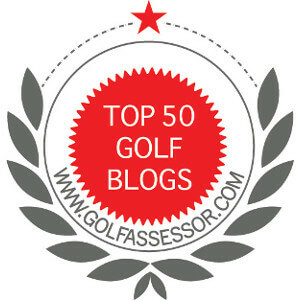 Tom Stickney II from Golf WRX wrote a great article on this topic. It is definitely worth the read and supports my views on how my dominant eye affects my golf swing. Although I have a good grasp on how my dominant eye affects game, I am going to try to refine my ball position over the winter. I am going to focus on my putting first and chart out the best position for my swing. This last sentence is my final point. Your dominant eye is important, but what works for me does not necessarily work for you. It is important, once you determine which is your dominant eye, to play with your ball position to see if it is ideal for your swing! When you figure out your details, drop us a line, we would love to hear about your results. Funny, but I never really considered how eye dominance might affect the swing. I knew after trying it on the range a few times that the Jack Nicklaus head turn move was not for me, but I hadn’t really thought about why it was such a bad idea for me. I just knew it didn’t work at all. As to ball position, I try and keep it as close to center as I can with most clubs now that I have fixed my hook. A ball or two forward for the longer irons and a ball back for some wedges shots or if I really need to hit a draw. I don’t consider myself normal where handedness is concerned though. I do some things right handed and some left. I play golf and baseball right handed, but with a bowling ball, I’m a lefty. Like I said, I’m not normal. It sound like you may have stumbled on the yor dominant eye anyway. You should check it out which eye is dominant. Some people do not have one. I might make a difference on the greens as well. Oh I know my right eye is dominant. I’ve mentioned that in an earlier post when I told you I close the left eye when putting. I just never considered how it might affect the swing. Yes you did tell me that, sorry about that. The cold weTher must be freezing my brain. 😂 Have an awesome day.